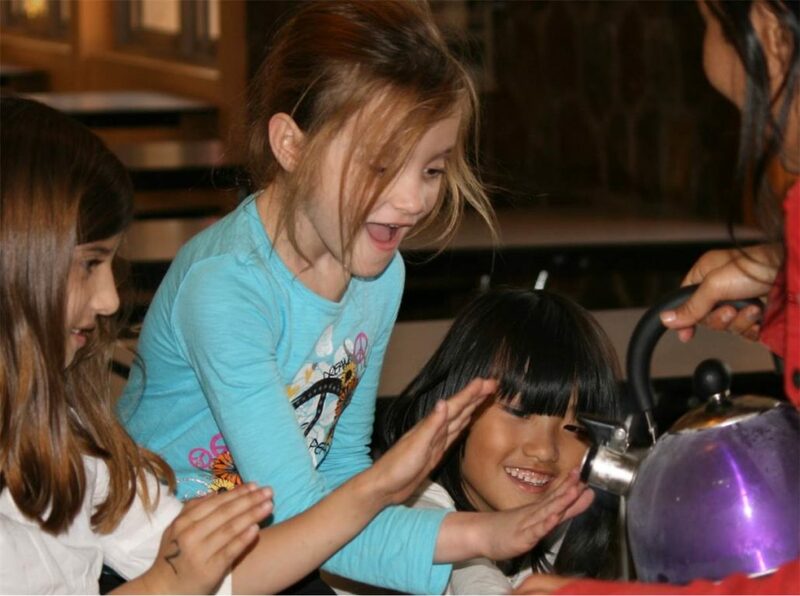 Little Scientist show is an innovative Science birthday party theme or idea for girls and boys age 5 to 10 years. 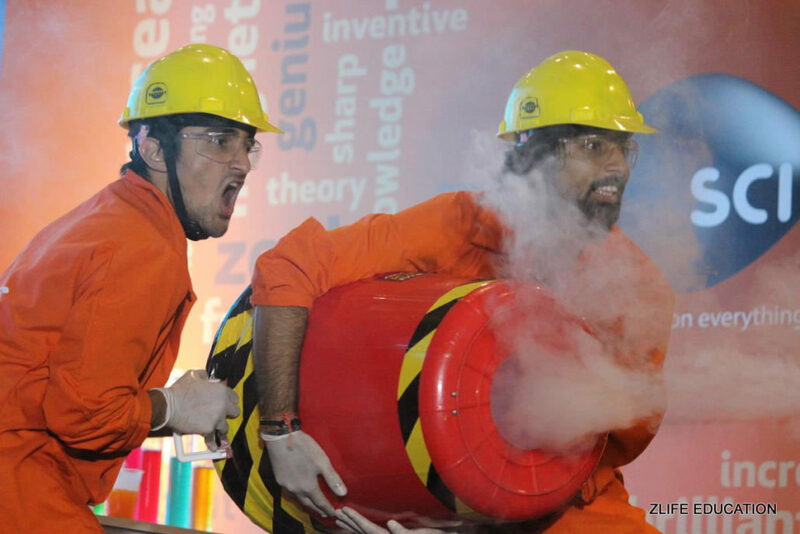 Our Team of Crazy Science Experts from Zlife Education come down to your venue and conduct Spectacular Science Experiments, Shows and activities with Kids for their birthday party. Services are currently available in Delhi, Gurgaon, Noida. What is the Duration of the Program - Little Scientist Show for Birthdays ? What is the recommended Age Group of the Children ? 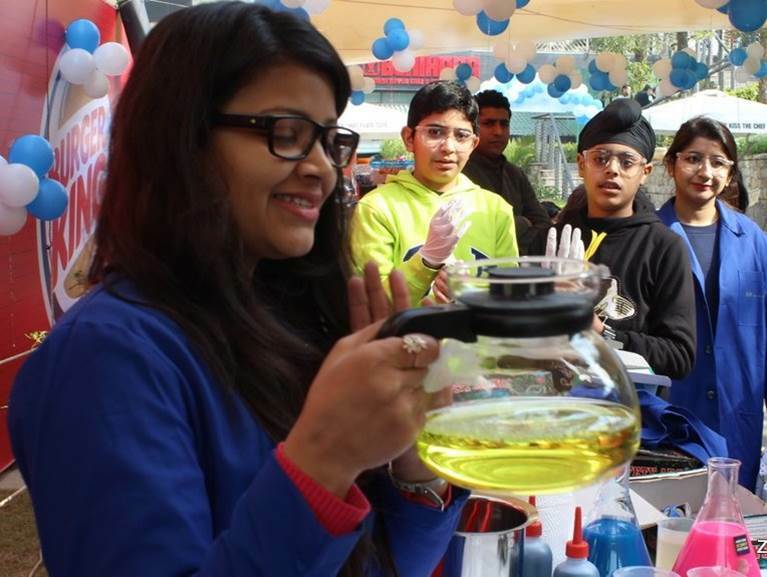 How many Science Activities are there in the Birthday Party for little scientist show ? 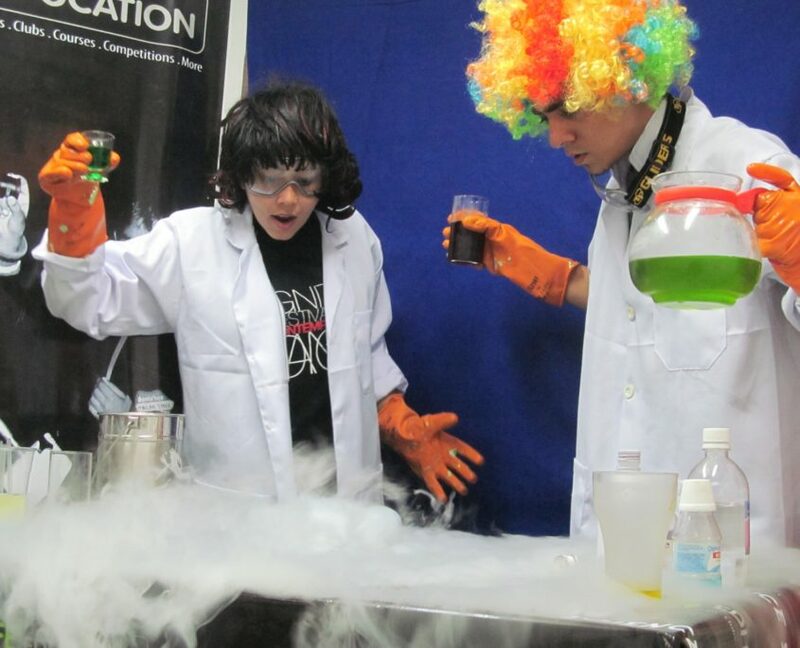 In 1 Hour of Program there are 5 Main Science Activities ( Themes) and in 1.5 Hour Program there are 8 Activities. 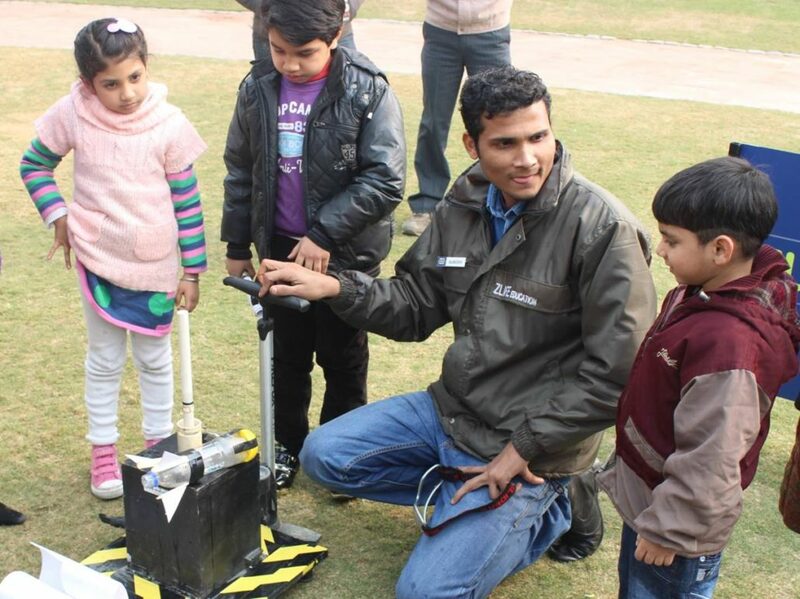 The activities are a mix of Interactive Show, Demonstrations and Hands on. 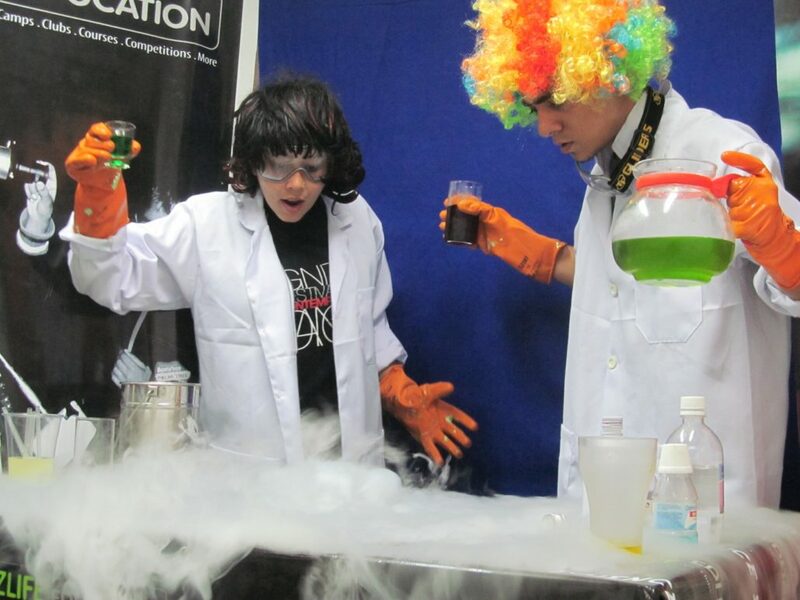 The topics and them range from Frozen world of Liquid Nitrogen, Ice Cream Making Factory , Bubble Craze, Slime Madness Factory, Rocket Launch Station, Volcanos and Tornados, Hot Air Balloons, Scuba Divers, Magnet Gears Maze .. etc many more. Can we customize the package/activities ? The activities are usually standard and we recommend it that way – as we know what is liked and works best with Children usually –with our many years of experience. You can have a little room for customization. But remember – too much customization might also cost you higher. You can get in Touch with us regarding the same. 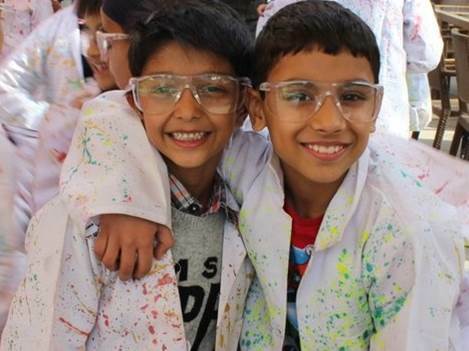 How do I book the Little Scientist Show for my boy or girls birthday party ? 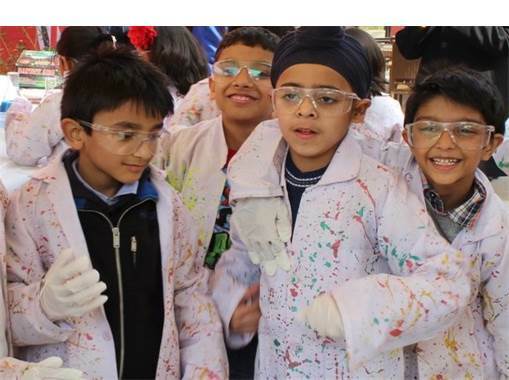 There are 4 Packages that we offer ( Electron , Electron G, Proton, Proton G) .Please get in touch with us at LittleScientistShow@gmail.com or Give us a Call at + 91 9910644233 to know more about booking procedure and Package Prices. Do you Provide the Venue / Organize the Birthday Party arrangements as well ? We don’t Provide venue for the Birthday Party. It needs to be arranged at your end. For Birthday Party arrangements like decorations, invitations – we connect you to our partners if required to assist you. We don’t handle it at our end directly. Do you Provide Return gifts for Birthday Parties ? 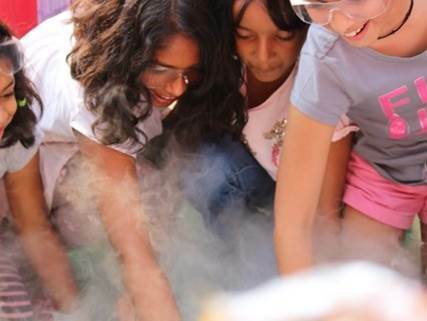 Yes we do – You can Choose from our Series of “Yucky Science” Kits and boxes for Kids . 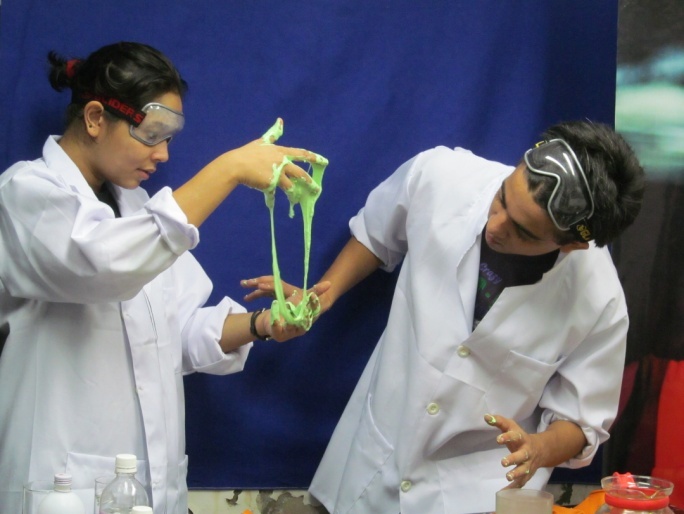 We have options you can choose from – Slime Madness , Glitter Galaxy Crunchy Slime Kit, Milky Foamy Crunchy Slime Kit, Fluffy Snow Powder, 7 Color Experiments Science Kit.